salt - 1/2 teaspoon or to taste. Fresh grated coconut - 2 tablespoons. 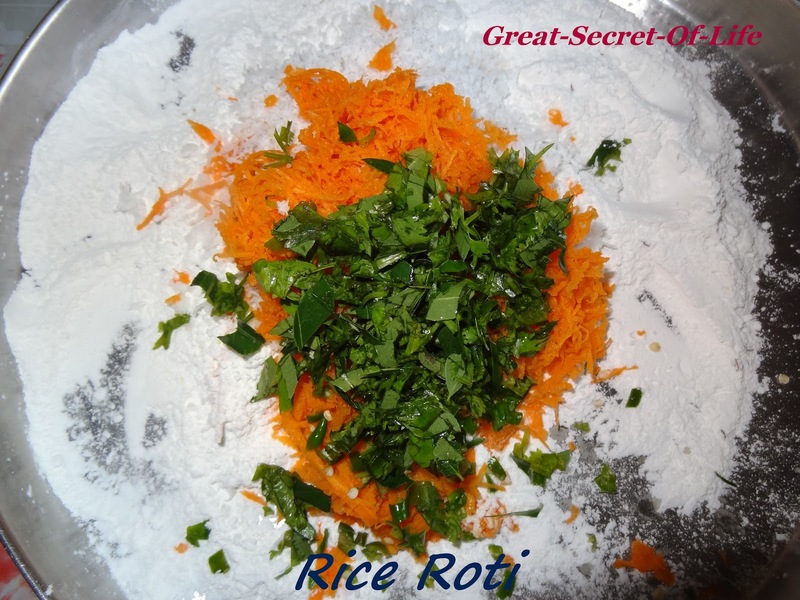 Mix rice flour, Carrot, chili, cumin seeds, coconut, coriander leaves, salt in a bowl. Add water little by little and form into a dough ball. It should not be too soft or too tight. Divide the dough in 2 or 3 parts. On a girdle(tava), add some oil. Smear the tava with oil. Place one dough ball on the tava and pat it into a round(as thick or thin as you want), as shown in the image. 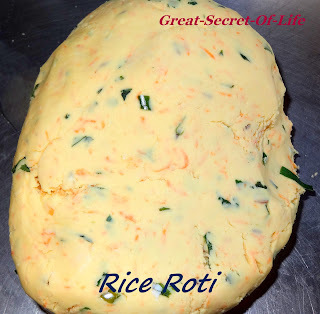 Make a few holes in the roti with your forefinger. Add a few drops of oil on the roti. Place the flat tawa on medium flame. 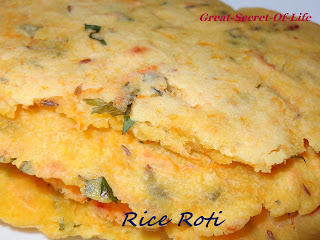 Cover the roti with a lid. Cook for 4-5 minutes. 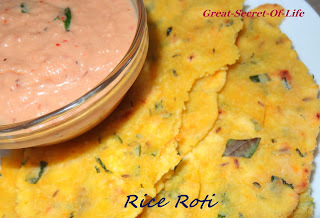 Remove lid and turn the roti. Cook on the other side for 1-2 minutes. Serve hot with chutney or favorite curry. step by step fotos are much more helpful, especially the beginers like me.. Thanks & keep up the good work! !